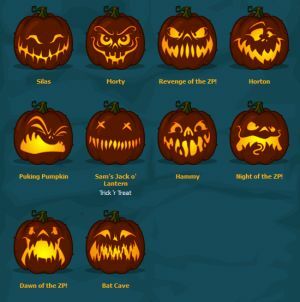 Freedom Rockz: 275 Free Pumpkin Carving Patterns! Wowness! 275 Free Pumpkin Carving Patterns! Wowness! Some of my favs very cool designs! This site only has a few that are actually FREE but it is well worth a look! THis site is very inspiring!